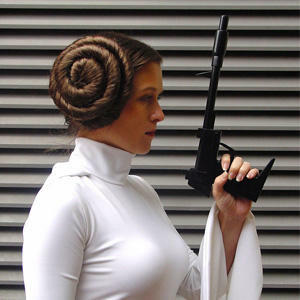 These women’s Star Wars Solo tops are now available at 80’s Tees. 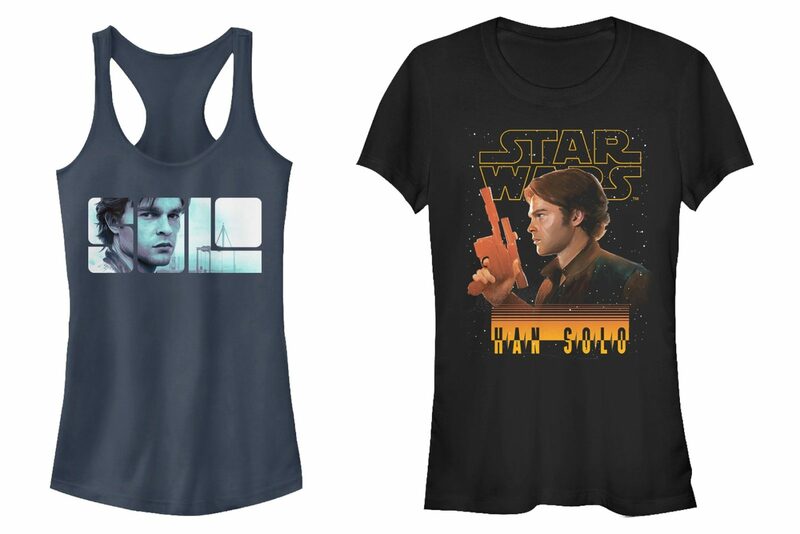 The first is a blue racerback tank top that features Han Solo pictured within the text ‘Solo’, while the second is a black t-shirt that features Han Solo in profile with blaster raised. 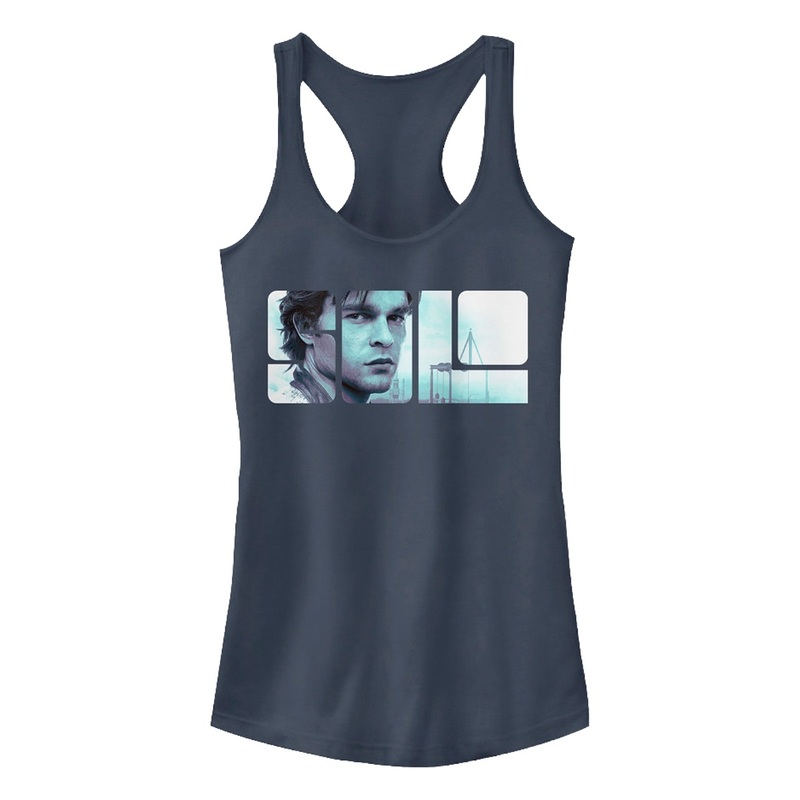 This Ladies Han Solo Star Wars Tank Top shows an images of a young Han Solo featured within the letters of his name. 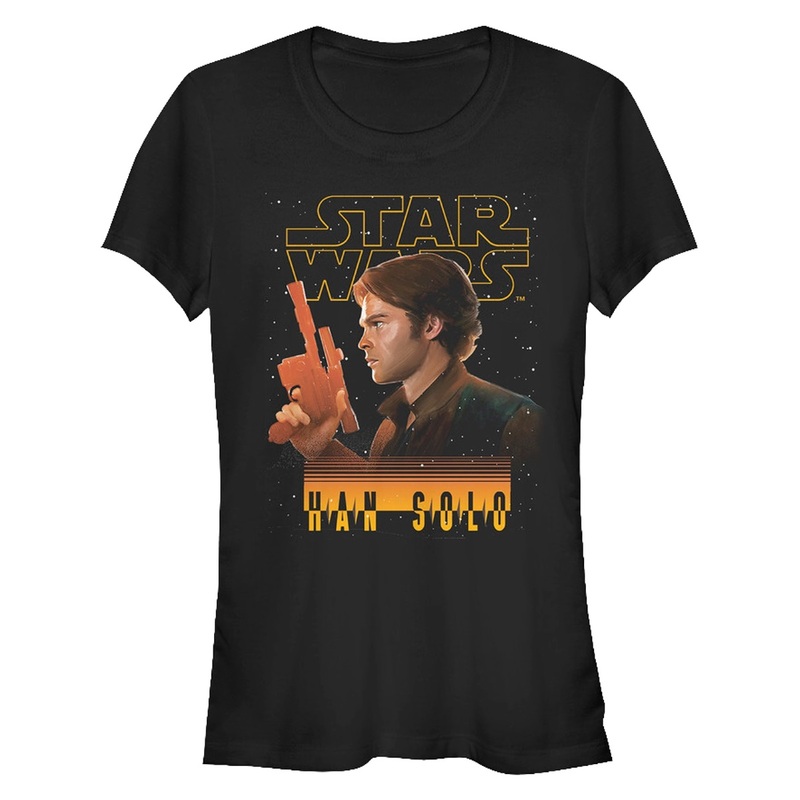 This Junior Han Solo Star Wars Shirt shows a profile image of Han Solo along with his name and the movie franchise’s logo. Available in sizes S to 2XL, the tops are priced at US$37.02 to US$42.86 each (depending on size). 80’s Tees can ship internationally, which is great! Photos sourced from and belong to 80’s Tees. Her Universe x Star Wars Makeup Palette!